The article is titled “Sports and Money” to fit with the storyline that it is “all about the money”. I rarely post comments on articles, but I did this time. I am not sure why some professional athletes and coaches are playing along with this. My speculation is that they are out of touch with the competition level in HS sports OR are just parroting something that sounds good and people seem to want to hear. But to me, it sounds a little like “I was so good I didn’t need club sports. 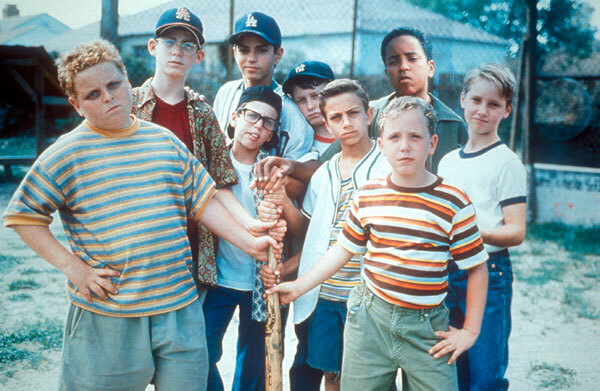 I just played in the sandlot with Smalls, Squints and Bennie.” Well, that was a long time ago. to be out of touch with reality, with heads firmly planted ostrich-style in holes. The world is different now than it was 20 years ago — sorry John Kruk and Curt Schilling. It is a lot smaller world, if you have not noticed. Players, starting around high school age, figure out if they are pretty good or not at a sport. If they are pretty good, they often want to play the sport a lot, at the highest level they can. They don’t want to just compete with kids in a 50 mile radius. They want to compete against the best from 500 miles, or more. What is wrong with that? Go check out some HS age competition that is based on a 500 mile radius. You have to be incredibly talented to be on that field. Average does not get you on that field. Kids that want to play on that field know that it is not easy. They are pretty smart. That decision is really up to little Johnny since he has to do all the hard work. And, he probably makes the right decision 95% of the time. Given the player’s desires, parents with discretionary income then spend money to train their young athletes to compete against the top kids from 500 miles around. That’s what parents do if they can. 95% of the time this represents a significant commitment on the part of the parents to allow their kid to achieve something he/she wants to do. It is players pulling, not parents pushing 95% of the time … especially at high school ages. Travel, club programs and professional instructors emerged because players/parents want their services and they enjoy working with young people. 95% of these coaches/instructors are incredibly dedicated, good people that do not get paid that much and are great mentors to young men and women. What is wrong with this? The conventional wisdom implies that the club sport world is supply driven. Somehow, a mass conspiracy formed to convince parents and young players to pay for something they do not need or want. Like pet rocks and sea monkeys. That is very wrong. This market is demand driven — driven by young athletes that want to compete at a high level. Young athletes want to be trained and developed to compete at a high level. Their parents think that is a worthy endeavor and support it. That is why club sports exist 95% of the time. It is demand, not supply. 95% of players are not victims, 95% parents are not stupid and 95% of coaches/instructors are not “all about the money”. When people use that phrase, I think they should be forced to set in a dugout with 15 year olds for 2 hours. It is NOT all about the money 95% of the time. Finally, the injury point. Guess what — if you play sports at a higher and higher level, the risk of physical injury goes up. When you run faster, are bigger, throw harder and hit harder, you are more likely to get hurt. Why is that such a big surprise to everyone? The chances of an arm injury throwing 90 are a lot higher that the chances of an injury throwing 75. Good players playing at a very physically challenging level tend to get hurt more. People are now actually writing books and making speeches on this absolutely obvious fact. The only true way to avoid sports injuries is to not play. Playing more, harder and faster leads to more injuries. How’s that for stunning insight. So, do we tell players to throw easier and run slower? To not compete as hard? That’s just not the way young athletes think. OK maybe its 10%, not 5%. But it is not even close to 50%. The days of 3 sport athletes dominating their 50 mile radius is LONG GONE … disappearing about the same time as cell phones and the internet made our world a lot smaller. In a lot of areas, it was gone before that. In European soccer is disappeared 5 decades ago. Club sports and specialization (at HS ages) are not going away. It is a natural and healthy evolution, 95% of the time. Let’s focus on fixing the 5% instead of telling players not to play hard, work hard and have lofty goals, or telling parents not to spend time and money on their kids, or telling coaches not to coach. Because, I am pretty sure that is not going to happen. 2. It reflects my single biggest fear in coaching teenagers. So, most players dutifully read the book and send me the one paragraph or one page book report. The impact of the story is not long-lasting. Attention spans are short, and it usually takes 1-2 years for life experiences to catch up with the book. Here is the Amazon link to buy the book, 90 pages, $9 worth every penny. Flipping switches is not pretty. Sometimes the switch is hidden kind of deep and you have to dig around and it gets messy. Sometimes, the switch turns back off and needs to be flipped back on again a couple of times. And, ocassionally it does not switch on at all. 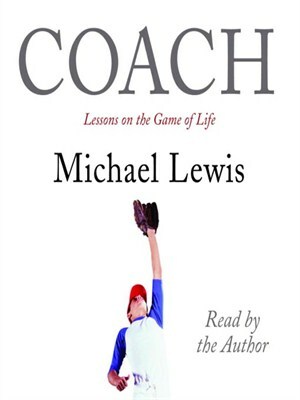 If you have just 10 minutes, please read the story about Coach Fitz that Michael Lewis wrote for the New York times http://www.nytimes.com/2004/03/28/magazine/28COACH.html (it’s free — although the book is a lot better). Even though the story is now 10 years old now, it provides good insight into the coaching challenge in 2015. Flipping switches is 10x more challenging (and more important) then teaching kids to throw hard or run fast. Sometimes when I interview people for jobs, I explain the Coach Fitz story and ask the candidate “who is your Coach Fitz?” The answers vary between incredible stories and just blank stares. It’s about 50/50, but with declining numbers for Coach Fitz.